Wanted to write this story for some time now and thought that it would be rather appropriate for the Punggol East Voters to digest this before the polls. There were 2 chicken rice shops near each other in the same vicinity. 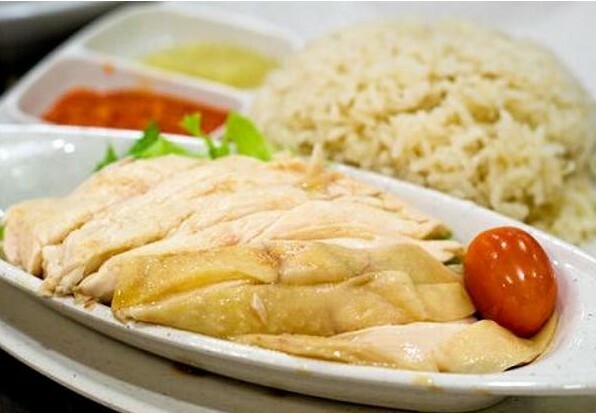 Shop A had been around for over 50 years with its tried and trusted family recipe that continued to whip out its famous chicken rice that many were still queuing up for. Shop B on the other hand, was a relative new kid on the block. They started their stall about 12 years ago. Business was extremely slow at first owing to the huge popularity of shop A, but started to improve substantially over the last few years. The owner of shop A was a bit concerned that customers were switching over to shop B. Over the years, he had spent quite a substantial sum of money in promoting his brand island wide, expensive renovations to spruce up his shop, paying his workers high salaries to attract and retain them. Despite all his efforts, business had fallen and customers were migrating to Shop B. The potential reasons for this began to emerge for which he listed them down. a) His menu had not changed over the years. There was only one type of chicken rice available. White chicken and nothing else. b) The quality of the chicken rice had fallen. This he discovered, after conversations with some of his customers. They told him that the chicken was not as tender, the rice not as fragrant, the chili & black sauce had also lost its zip. c) His prices had risen to $5 per plate, whilst his competitor held their prices at $3. One day, he decided to disguise himself and patronize shop B to personally find out what was it that was drawing his customers away. Stepping into Shop B, the first thing he noticed was the décor. It was Spartan at best and far inferior to his in every aspect. The tables and chairs were simple wooden ones, unlike his beautiful marbled top teak tables & chairs. He was greeted politely, escorted to his table and was given a menu. They had 5 different types of chicken rice; white, soy-sauce, roasted, curry and fried chicken. He decided to choose the first one, as tasting it would have provided him an apple to apple comparison to his own fare. Throughout the deliberation period, the waitress stood aside patiently, then smiled as she took his order and informed him courteously that his meal would be served shortly. Although there were many customers, he was served within 5 mins. His order was served in plain plastic plates and the condiments were served in an ordinary orange plastic saucer. It was hawker standard, he mused. As broad smile etched on his face as he pondered how inferior this offering was compared to his. A min after tucking into the meal, the smirk slowly drained from his face. It was replaced by shock and bewilderment. He had never tasted chicken that tender before, it was streaks ahead of his. The chili was exceptional & the black sauce put his to shame. He was done in 3 mins flat because it tasted so good. What followed next nearly floored him. The owner of shop B personally approached him as he signaled to pay. The owner introduced himself and requested politely whether he had a good meal and was there anything more that was needed. In a daze, he walked back towards his shop, his mind spinning from the surreal experience. He entered the shop and was mistaken for a customer because he was still incognito. The waitress he hired recently from China pointed him to his table, barked the standard order of white chicken to the kitchen before scurrying off to attend to another customer. It was a good 15 mins later before his meal was served in grandiose porcelain dishes. He managed a smile as he fingered the splendid spoons and bowls which he personally selected 1 year ago to impress his customers. The chicken rice was a tad cold, but in his opinion, the quality had remained constant over time, just as he had tasted it back then as a young boy. Overall in his own preconception, his offering and dining experience was far superior to that of the opposition. He left the shop a happy and contented man. As the months went by, business continued to decline. He decided that he had to do something to stem the tide. He ordered his managers to set up a feedback session to gather views from his customers on what was wrong. The results of the feedback were in and they were pretty similar to the 3 earlier reasons given. The next day, he called his managers in. First he asked the procurement manager whether they could source for a new chicken supplier that could supply a better, more succulent chicken. The manager replied “Er.. Boss, the current supplier has been supplying us since day 1 and Ah Da has taken over his father’s business now.” Owner A then dropped the idea as Ah Da’s father was a long time family friend and it would have been an unkind act to end the business relationship. “Ok, so what then can be done to make the chicken more tender?”. His question was answered by Ah Pin who said: “ I know of a supplier that can supply us a special tenderizer which will do the trick. It won’t come cheap, but it will certainty work.” “Good, get that done” said the old man. The conversation and outcome was repeated for the chili and the black sauce. Current long standing suppliers were retained and new suppliers that could enhance their flavours were brought in to improve the overall taste. 2 weeks later and after numerous trials, he tasted the improved version of his chicken rice after all the adjustments were made. There was a slight improvement, but in truth, it was still nowhere near shop B’s level. Despite this, he blatantly declared to his staff. “With the tweaks, our product is now much better compared to our competitor. Start marketing our efforts to our customers, let them know we have tried hard to improve and they will stay with us since we have delivered a greater tasting chicken rice based on their feedback”. There was no way that he would admit defeat or drastically alter the family recipe in order to beat the competition, it was not in his DNA.. He had no other choice but to delude himself and his followers that their product was still unsurpassed in the market. Unfortunately, the price of his improved chicken rice had to go up by $1 per plate as a result of the additional cost stemming from the added ingredients. To soften the potential negative impact of the price increase, a suggestion was floated for the new price to be set at $6.50, but to give out $0.50 coupons. This brilliant sales gimmick was resoundingly endorsed by everyone. Over the next few months, his marvelous plan did not have the desired effect. Sales were down and more customers were switching over to Shop B. Some customers even suffered serious bouts of food poisioning because the source of the new ingredients was highly suspect. The supplier was actually a fly by night $2 company that had very little care for food hygiene. He was given the business because he was a former employee. Despite all these setbacks, Owner A was stoutly defiant. Instead of getting down to the root cause of his problems and resolving them, he launched a new set of renovation plans for his shop and increased the coupons to $1 in an effort to arrest the slide. In addition, he also unveiled an aggressive marketing campaign to highlight the highly qualified chefs that prepared the meals, plus the construction of a child friendly play area within the shop, where parents could leave their kids whilst they dined leisurely. He was extremely confident that all this would turn things around for him & his business. In the meantime, more customers continued to get food poisoning. Well readers & PE voters, I’ll let you decide which chicken rice you want to patronize in future. The choice is pretty obvious isn’t it?